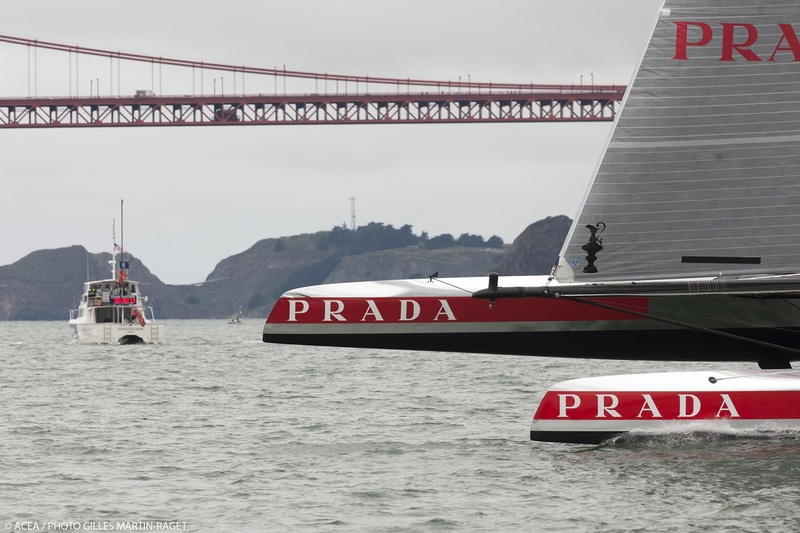 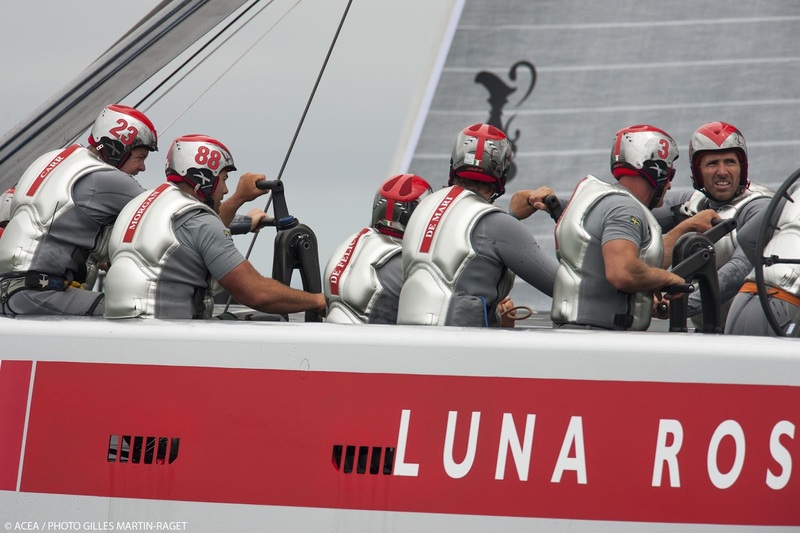 Sailing in the lightest winds yet of the Louis Vuitton Cup, the America’s Cup Challenger Series, Italy’s Luna Rossa Challenge scored their second point of the series today. Their opponent Artemis Racing did not compete. 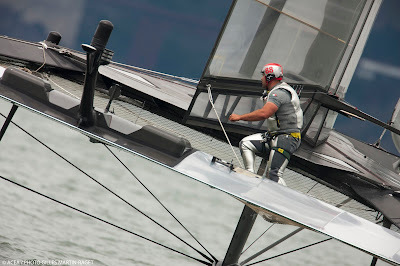 The southwesterly wind peaked at only 13 knots, and skipper Max Sirena’s crew completed the shortened five-leg, 9.21-nautical-mile course in 43 minutes and six seconds at an average boat speed of 17.66 knots. 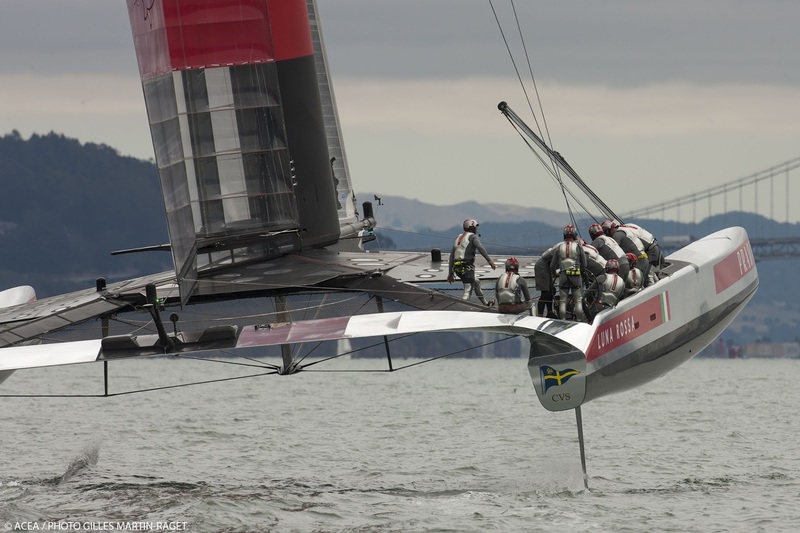 Their top speed of 26.37 knots came on the first downwind leg, with the wind blowing between 8-10 knots. “Today was one of the few days with really light conditions and unexpected here in San Francisco. We have to get used to it because we could race in these condition in the future, but we want to maximise our time on the water,” Sirena said. 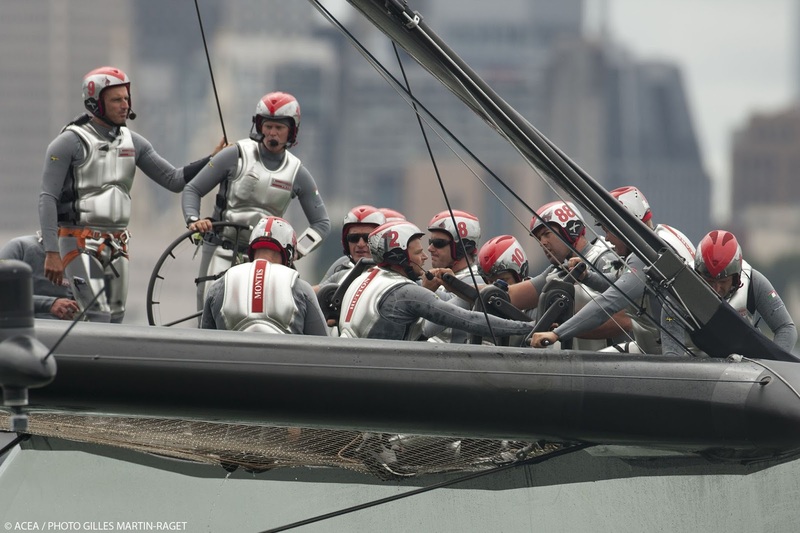 On Sunday Luna Rossa Challenge will again race again Emirates Team New Zealand. 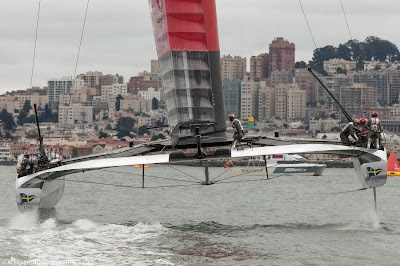 “We will try to sail as much as possible, hopefully tomorrow is a windy day. We want to be in better conditions for the race Sunday against the Kiwis,” Sirena added.